John McCormick writes: Pete Sixsmith takes us back to the time when I was just getting into football. Some of the players below became very familiar to me as I saw them play at Roker many times. Others, Peter Wakeham and Jack Overfield, for example, are nowhere in my memory bank though Ambrose Fogarty is and I don’t think I ever saw him play. Nor did I ever see Brian Clough, though I followed his story as he ran up and down the Fulwell End steps to no avail, and at some point in the mid sixties I chanted his name on the terracing when we needed a new manager. I’d love to have seen him play. A bit of a variation here, as we return to the home of saddles, Jerome K Jerome and pork scratchings. Fellows Park and The Bescot were dealt with last week so let’s have a look at the first time we ever played The Saddlers – who knows, this could become a feature for next season. In 1961, Walsall finished second in Division Three and were promoted to Division Two for the first time in their history. 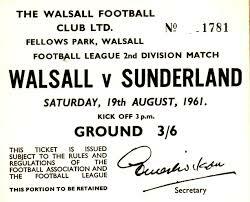 Their fellow second level teams that season included Liverpool and Newcastle United as well as ourselves and the man who worked out the fixtures at Lytham St Anne’s using a pencil and a piece of paper, gave the Saddlers a fascinating start to their new life in the second tier by sending us to play them at Fellows Park. The game took place on the 19th August 1961, a Saturday afternoon and Fellows Park saw a crowd of 18,420 squeeze in to see a classic. Many of those would be wearing Sunderland scarves and rosettes as they came to see their new centre forward Brian Clough, in competitive action for the first time. He had already played in two home friendlies against Danish clubs Odense and Aarhus, scoring in both and he was well known to his new audience from his time down the A19 at Middlesbrough. Alan Brown saw him as a vital part of the new team that he was building and paid the then astronomical price of £55,000 for a player who was a proven goalscorer at this level, but who was also seen as a disruptive influence at Ayresome Park. 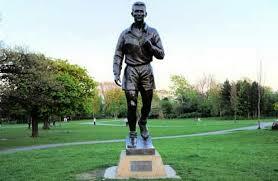 He was a Boro lad, born in a newly built council house in Grove Hill in 1935. He was the sixth of nine children and showed a talent for both football and cricket as a schoolboy. He admitted that he enjoyed cricket more than football and both sports more than lessons and he left school in 1949 with no qualifications. 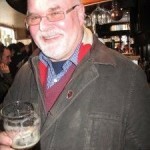 Like many, he went to work at ICI and played for their works team, Billingham Synthonia. Middlesbrough offered him a contract after he had completed his National Service and he took his first steps on the road to becoming the most prolific striker in Football League history. In the 222 games he played, he scored 203 times and that in a side that was becalmed in the middle of Division Two for much of the time. To say that he was outspoken is akin to saying that Jacob Rees-Mogg is a fine representative of C19th paternalism. After he had scored a hat trick in the 6-6 draw with Charlton Athletic at The Valley, he asked his team mates how many he needed to score the next week in order to claim his win bonus and he publicly accused some of his colleagues of taking bribes to throw games. 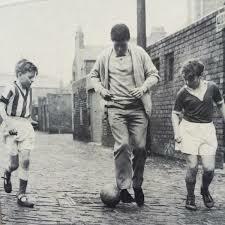 By 1961, the Ayresome hierarchy had had enough of him and this alerted Alan Brown to his availability. Unlike Boro manager Bob Dennison, Brown was sure that he could handle Clough and he proved to be right. 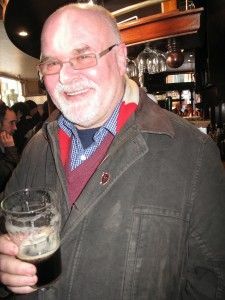 The Bomber’s brand of paternalistic tough love appealed to a man who had been brought up in an environment where tough love and strict discipline were paramount and Clough always saw Brown as his mentor and guiding spirit. He scored our equaliser at Fellows Park. Tony Richards had opened the scoring from the penalty spot in the 13th minute and Clough responded nine minutes later with the first of the 63 goals that he scored for us in the one and a half seasons that he had before the injury that wrecked his career. Tommy Wilson restored the Saddlers lead before we appeared to take control. Scottish international, George Herd, making his second first team appearance levelled before outside right Harry Hooper put us ahead from the spot. It looked as if we were home and dry but the large crowd witnessed The Tony Richards Show, Parts 2 and 3 as goals in the 68th and 75th minute gave Walsall the points and sent the home fans away happy to talk of the game over pints of Banks’s Bitter in the pubs and clubs of Walsall. What went through Clough’s mind as he sat in the dressing room, only he would know. He must have thought that this lot were no better than the losers he had just left, but there was no way that he was going to say anything in a dressing room run by Alan Brown. Peter Wakeham; Colin Nelson, Len Ashurst; Stan Anderson, Charlie Hurley, Jimmy McNab; Harry Hooper, George Herd, Brian Clough, Ambrose Fogarty, Jack Overfield. There were five internationals in that team, almost unknown for a second level team at that time. Hurley and Fogarty were regulars for the Republic of Ireland team, Herd had won two caps for Scotland while with Clyde and Anderson would go to the World Cup in Chile at the end of the season. Clough had two England caps to his name but did not get on particularly well with the cerebral and remote team coach, Walter Winterbottom. He got on even less well with the blazers from the FA who actually selected the players…. By the end of the season, he had scored 29 goals but we finished third and missed out on promotion by a point. The next year, he had scored 28 by Boxing Day when he was seriously injured in a clash with Bury keeper Chris Harker at Roker Park. 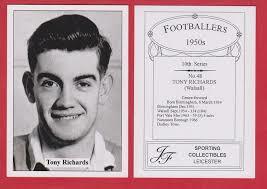 He made an abortive comeback in 1964, playing three games and scoring once, his only experience of the top flight. His tale is well told after that. Youth team coaching at Roker and then a managerial career that took him to Hartlepools United, Derby County, Brighton and Hove Albion, The Damned United and Nottingham Forest, but the two jobs he wanted more than anything – England and Sunderland – never came. He typified the area that he came from. He did not care who he upset and had his own way of doing things. As a 12 year old taking his first steps as a Sunderland supporter (such folly, Pip, such folly) I idolised him and followed his career until the end. I have seen his statues in Albert Park, Middlesbrough (my favourite), outside Pride Park in Derby (with Peter Taylor) and in The Old Market Square in Nottingham (in his pomp) and I can’t think of any other player/manager who has a statue in three different locations. My neighbour, Carmel, knew him and attended his wedding in the 50s. Brian Clough video posted on Youtube by Middlesbrough FC Video Vault, 14 Apr 2017. If there is any copyright claim, not answered by “fair comment” on the video or pictures used in this report please advise us and we will add credits or remove as requested.